NEW YORK – August 26, 2015 – Combate Americas, the first-ever U.S. Hispanic Mixed Martial Arts (MMA) sports franchise founded by Ultimate Fighting Championship (UFC) co-creator Campbell McLaren, and NBC UNIVERSO, the modern sports and entertainment cable channel for Latinos, today announced the kick-off of “Road To The Championship,” an all-new, multi-year MMA fight series that will air live on NBC UNIVERSO. The first live event in the Combate Americas series will air on Thursday, September 17 at 11 p.m. ET/8 p.m. PT. from The D in Las Vegas, Nev., just in time for the beginning of Hispanic Heritage Month. Combate Americas is the groundbreaking, live MMA fight series created specifically for U.S. Hispanics who are passionate about the artistry and action of the sport. Fans can tune into NBC UNIVERSO to watch these modern day gladiators enter the cage to compete for a chance at glory. “We are excited to expand our relationship with NBC UNIVERSO, and look forward to delivering action-packed fight cards featuring some of the best Latino fighters on the planet,” said McLaren, who created Combate Americas two years ago to serve the fastest-growing U.S. demographic – Hispanic millennials. 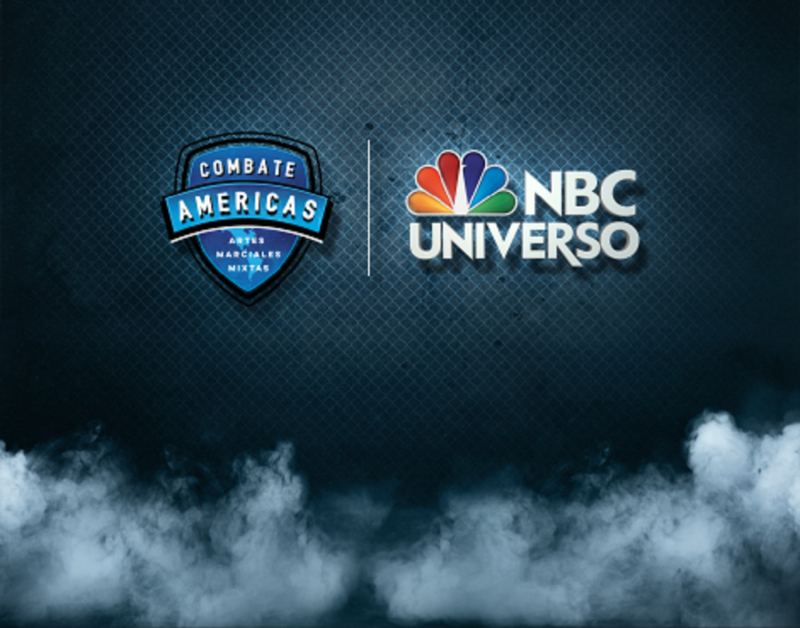 “NBC UNIVERSO’s partnership with Combate Americas’delivers on our promise to provide our Latino viewers rousing and edgy entertainment and the biggest events,” said Rubén Mendiola, President, NBC UNIVERSO. The Combate Americas fight series comes one-year after Combate Americas – the competition reality series, made history by becoming the first fight-themed program ever to win a major television award – “Best Variety or Reality Series,” at last year’s 29th Annual Imagen Awards. The Combate Americas reality show aired on NBC UNIVERSO (formerly mun2) and was a fan favorite among U.S. Hispanic viewers. In the main event of the live NBC Universo telecast of the Combate Americas kick-off event on Thur., Sept. 17, two-time UFC veteran and Miletich Fighting Systems prodigy Ramiro “Junior” Hernandez (17-7) of Muscatine, Iowa will square-off with hard-hitting KO artist Max Ceniceros (7-2) of La Mirada, Calif. in a featherweight (145 lbs.) main event showdown. Ceniceros is seeking his seventh consecutive victory, after finishing four of his last six opponents by way of (T)KO or submission. Also on the fight card that night will be Combate Americas reality series stars J.C. Llamas (5-5) and Ricky “El Gallero” Palacios (3-1), who will make their respective second starts in the Combate Americas cage. The runner-up in the reality series competition, Llamas of Bakersfield, Calif., will square-off against aggressive-minded finisher Ozzie “The Outlaw” Alvarez (6-2) of Brea, Calif. in a welterweight (170 pounds) contest. Palacios of Mission, TX will face Benji “The Brawler” Gomez (4-4) of Ventura, Calif. in a bantamweight (135 pounds) matchup. In a featured women’s strawweight (115 pounds) bout, Invicta FC veteran Nicdali “The Night Queen” Rivera-Calanoc (8-8) of Tulsa, Okla. will collide with power puncher Katy “Red Dragon” Collins (2-1) of Branson, Mo. Additional fights, including a complete preliminary bout card will be announced soon.